Friends! I am on vacation next week so I’m going to get this out to you as soon as possible. I assume you want book recommendations because who doesn’t? So I’m going to give them to you quick and dirty (hehe). 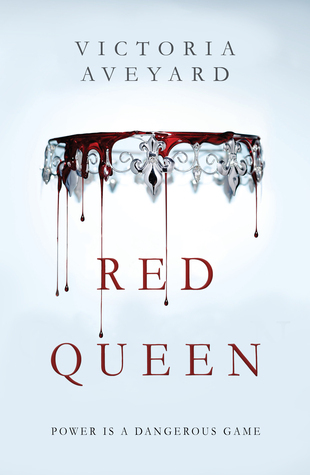 Books I read this summer that you should read if you . . .
. . . liked The Hunger Games and feel like you want another YA dystopian series that you can’t put down: Red Queen by Victoria Aveyard. Ok, only the first book is out but I ended up liking this one a lot more than I thought I would. While it seems pretty derivative at first, Aveyard takes the Roman gladiatorial combat of The Hunger Games to interesting places. There’s a love triangle so watch out if that’s not your thing. But seriously, A+ for plotting. This runs away like a little dynamo if you let it. I’ll probably read the next three books as they come out. Not as well written as The Hunger Games but better written than Brandon Sanderson, so there’s your literary evaluation.
. . . like your fantasy standalone, different, and dark: Uprooted by Naomi Novik. This book was so good! I thought the combo of a twisted fairy tale, evil forest, and mysterious sorcerer worked really well. It take a bit to get going but it sticks with you. Great if you like the grown up fairytale like feel of Neil Gaiman’s Stardust but want it slightly more serious.
. . . like polar adventure and survival stories: In the Kingdom of Ice: The Grand and Terrible Voyage of the USS Jeannette. I LOVE polar adventure and survival stories. Stories about Shackleton or others from the Heroic Age of Polar Exploration? Yes please. Stories about sailing and shipwrecks? Give me more, bonus points if they’re about whaling. Stories with gruesome facts about the effects of sub freezing weather on people’s health? Yes, gimme those frostbitten feet tales! This book about a pretty early, and ill-conceived attempt to reach the North Pole by sea has it all.
. . . like to name drop designers and love a beachy read that needs a Tolstoy-esque cast of characters at the beginning: Crazy Rich Asians and China Rich Girlfriend. There are a million people and they are all related. 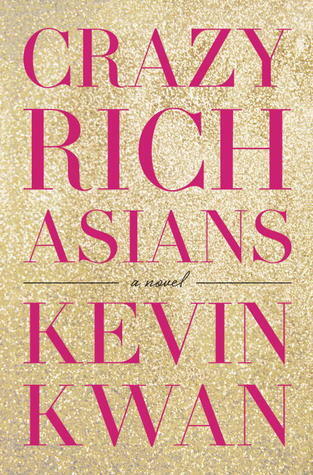 It’s hilarious, scandalous, witty, and will make you want to go to Singapore for the food alone.
. . . love Jane Eyre but think that maybe Jane is too good for Rochester: Re Jane, a re-telling of Jane Eyre set in Queens with a Korean American Jane, an struggling English professor Rochester, and a hippie to the max Bertha.
. . . want a comic with nods to famous characters, is set in a mysterious boarding school, and is just utterly charming: Gotham Academy. I’m not that much a DC girl but damn is this series great! The characters are intriguing and delightful – in the case of Maps! – and the art is top notch. Those are some of my favorites from this summer. I’m currently reading The Bees by Laline Paull and An Ember in the Ashes by Sabaa Tahir. These both started out slow but I’m really enjoying them now! Finally, don’t forget there is still time to donate to the Women Write About Comics Indiegogo campaign. We’re hoping to pay writers, prints zines, and do lots of cool stuff! Any amount is great but $10 will get you a handwritten thank you note. Probably from Canada which is pretty cool….